The bigger the market, the bigger the demand. 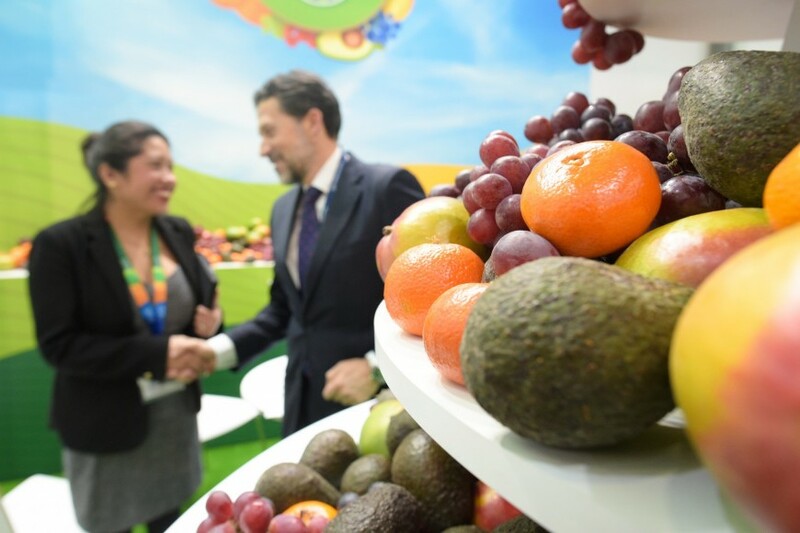 With consumer spending on fresh fruit and vegetables in Europe increasing to an expected €800bn by 2030*, the importance of the global fresh produce industry’s leading exhibition Fruit Logistica also continues to grow. That’s because the buyers, category managers and importers who attend in greater number each year now find themselves under increasing pressure to secure sustainable sources of supply while developing ever more reliable, technologically sophisticated distribution chains to bring that produce to market. At the same time, while those purchasing decision-makers might hold more of the cards when deciding where to spend their budgets, they certainly don’t have a monopoly on market insight. This goes some way to explaining why they return in great number to Berlin every year for Fruit Logistica: they need to keep track of new opportunities, innovative products and the latest technological trends, which makes the event itself a particularly effective shop window. The budgets involved are by no means small. Eurogroup, for example, which sources fresh fruit and vegetables exclusively on behalf of Germany’s Rewe and Coop Switzerland, recently revealed that hundreds of million euros’ worth of produce now move through its procurement centres in Germany, Spain, Italy and Switzerland each year. That’s one of many potential customers who come to Fruit Logistica and are very much ready to do business. In fact, a survey of trade visitors to this year’s Fruit Logistica found that close to 86 per cent were involved in making decisions relating to purchasing and procurement, while 43.7 per cent were directly responsible for decision-making processes at their company. Just one reason why, for the commercial success of so many companies in the fresh produce business, exhibiting at Fruit Logistica can be so decisive. The closing date for receipt of applications is 31 July 2018. Registration forms are available here.